This is the ultimate Balkan adventure tour, an action-packed trip that takes in the wild and recently war-torn badlands of Croatia, Bosnia, Serbia, Kosovo, and Albania. This is the former Yugoslavia, where East meets West: a melting pot of countries who have all been at the forefront of modern history and still bear the scars. You will have the chance to meet fascinating local people, through whom you will see the various different perspectives of the horrors of the Balkan wars, from the main sides involved. 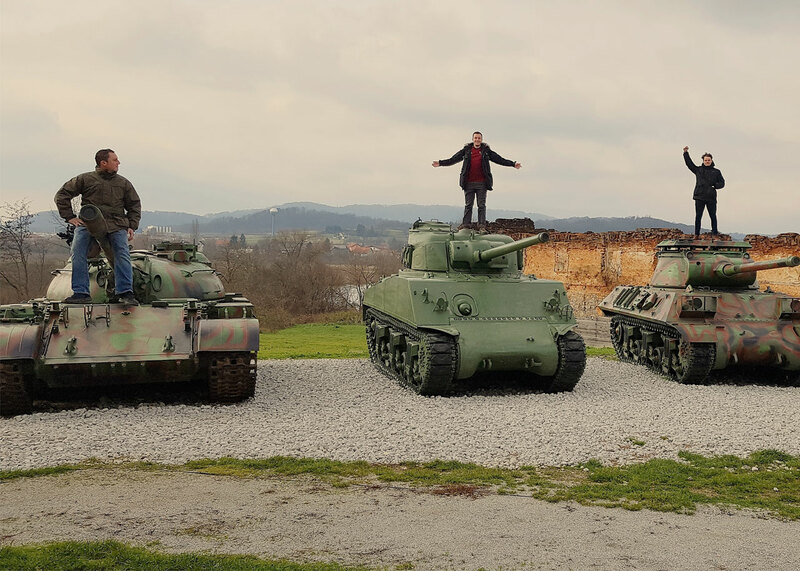 The Yugoslav conflicts are some of the most complicated wars in recent times, this tour will give you on the ground insight into the opposing sides and intense hatred that still runs deep on all sides.Taking in 5 countries in 12 days. We will have the chance to see edgy arms markets in Albania, fire Kalashnikovs and other weaponry, explore vast nuclear bunkers and underground air bases, sites of genocide, war damage and mass bombing campaigns, mind blowing urban exploration of abandoned sites and stunning scenery, these are just a fraction of the experiences that will be featured on this epic journey. Check into centrally located accommodation and meet your YPT guide. At midday, we will meet up and get to know each other before we head out and explore Zagreb. Optional trip to the Museum of Broken Relationships (extra cost). We head out for dinner at a great local restaurant and enjoy a few drinks in this stunning city. Early start, grab breakfast and check out of the hotel. 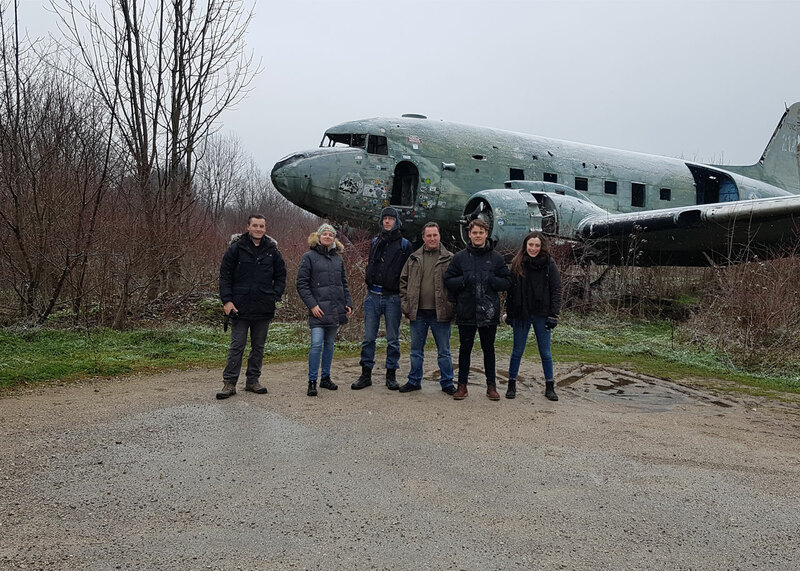 We begin our journey for one of the many highlights of the tour, the secret abandoned airbase in the outback of Croatia. This was the largest underground airport and military air base in the former Yugoslavia, and one of the largest in Europe. Whilst it is forbidden to enter and has some minefields in the area, YPT and our contacts on the ground can safely guide you through this underground base, where you will find MiG fighter jets rotting away, decommissioned missiles and explore bullet-riddled cargo planes on the runway. We will also stop at an incredible display of firepower in a war-torn village on the way. Surrounded by bombed and bullet-riddled buildings, the group will be allowed to explore and climb on the killing machines used in the Croatian war of independence. From armoured tractors and cargo trucks to tanks, fighter jets, and heavy artillery. We then move on to the evening drive over the border to Sarajevo, Bosnia. Check into Sarajevo war hostel, a unique historically accurate simulation of war-torn Sarajevo, full with authentic items from the war which serve as decorations and run by a small family which survived the war in Sarajevo and is willing to share their war experience and personal stories with you. We head out and grab breakfast in Sarajevo, for coffee lovers, Bosnian coffee is incredible! We then meet our local guides and minibus for an excursion to the tunnel of hope, a war-damaged home with a tunnel network underneath that is now a museum and a fascinating insight into the lifeline of this city when it was under the longest siege in history. After this we head to the Serbian side of Sarajevo, complete with Ratko Mladic banners lining the streets. We continue up to the mountain that overlooks Sarajevo and provides stunning views. 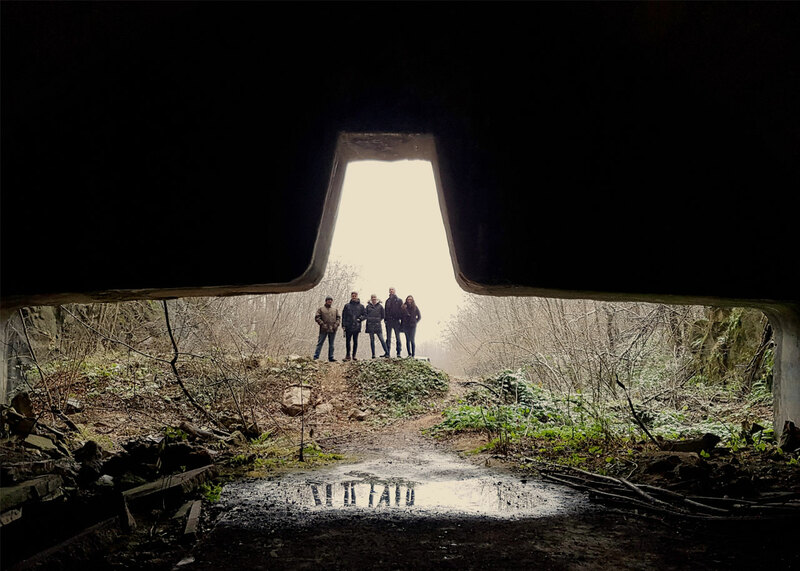 We then explore the bobsleigh track from the 1984 Olympics, surrounded by bunkers, this eerie monument has been left to decay since the war but provides excellent urban exploration and photography opportunities. On the way we will have the chance to explore many war-damaged abandoned buildings. We head back down into Sarajevo, stopping at the spot where Archduke Franz Ferdinand was dramatically assassinated, an event which sparked the first world war, before grabbing lunch nearby. Begin the Sarajevo war tour, covering sights related to siege time, such as the Sarajevo roses, Children’s memorial, Post office, Canned beef memorial, Sniper Alley, Holiday Inn hotel. The tour will also feature personal stories from the war from the local guide. Free time in the evening before exploring the Ottoman style old town, its markets and sampling some of the amazing Sarajevo cuisines before winding down with some drinks. Early start to grab supplies before an epic adventure to the stunning city of Mostar, exploring the key sights of Bosnia and Herzegovina on the way. Our journey will take in stunning scenery, Ottoman mountain towns, waterfalls, WW2 and Communist history before arriving in Mostar, where we will extensively explore this incredibly scenic city and learn about its history and future after the war. Sunsets are an amazing sight in Mostar, so we’ll have drinks at a restaurant overlooking the bridge panorama before we head back for the two-hour drive to Sarajevo. We grab breakfast, check out of the hotel and board our private bus for a hard-hitting day ahead. We head to Belgrade but incorporate a visit to Srebrenica, the site of a mass genocide in the 1990’s in which an estimated 8,000 men and boys were exterminated in a mass slaughter inside a warehouse. We will many sites, the highlights being the vast memorials, the warehouses were the Dutch peacekeepers military base was located and the sites of the massacre. We will also try our best to arrange a talk with a survivor of the massacre. We board the bus and continue on to Serbia. Evening arrival in Belgrade, check into the hotel and head out for dinner and drinks. 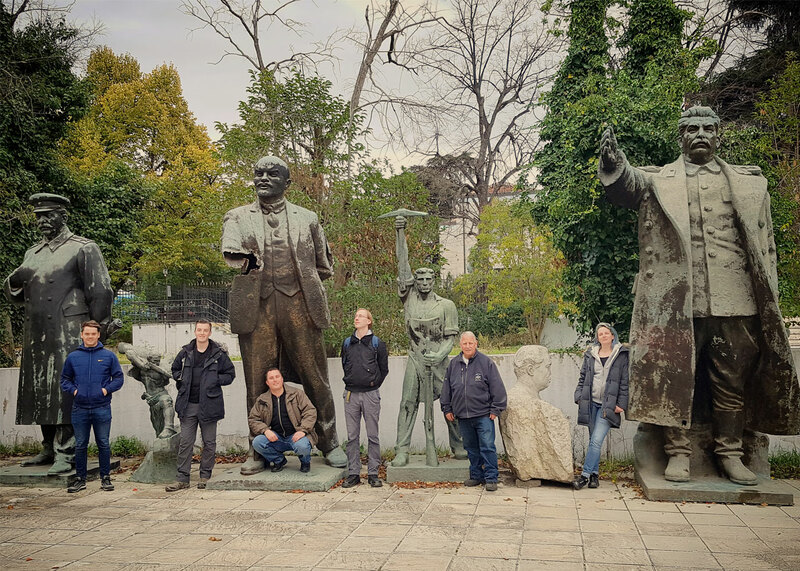 Head out to explore Belgrade and join a Communist tour. Find out the most interesting stories about former Yugoslavia, World War II, Tito’s life, Youth relay baton movement, 90’s war, NATO bombing of Serbia and Montenegro in 1999 and democratic changes at the beginning of the third millennium. Visit Museum of Yugoslav history which is also a resting place for the lifetime president of Yugoslavia, Tito. See such sites as the Republic Square, Bohemian Quarter, Kalemegdan Park, and the Belgrade Fortress. 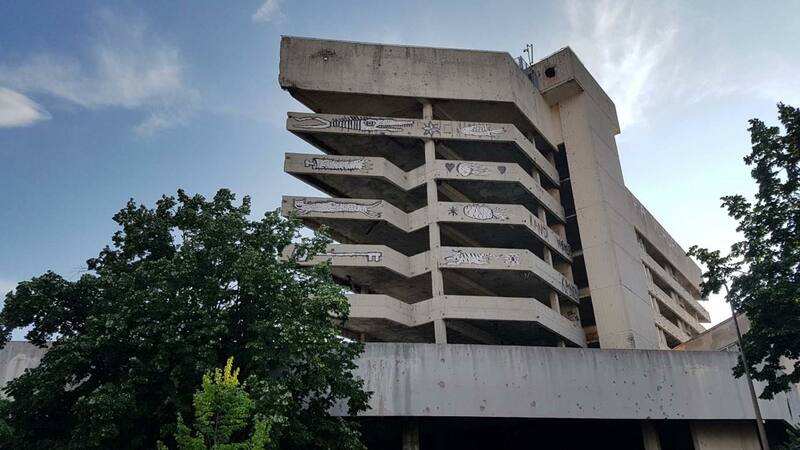 Explore the grounds of rival teams Red Star Belgrade and Partizan Belgrade, whose stadiums are covered in interesting political graffiti. Both of these teams have infamous gangs of Ultras, many of whom formed ruthless paramilitary squads during the 90’s wars. Head out for dinner and drinks in a traditional Serbian restaurant. Free morning for independent exploration of Belgrade or optional trip to shooting range to fire Kalashnikovs and other weapons (extra cost). Board the midday bus to Pristina, Kosovo and arrive in the evening. Check into private apartments run by a very friendly and hospitable Kosovar family. Head out for dinner in an amazing local restaurant. Drinks in the city to round off the night. We wake up early and grab breakfast before heading to the bus station for the short bus journey to Mitrovica. This tense and divided city has been the scene of numerous bloody fights and international incidents. Divided into two parts by a river, Kosovar and Serbian, each side is like crossing into a different nation. We will arrive on the Kosovar side and grab lunch in a great local restaurant, before exploring the sights on this side of the river. We then cross the tense bridge, guarded by international peacekeepers, and enter the Serbian side. We will see huge political murals honouring Serb commanders, generals, and paramilitaries as well as visit a bizarre souvenir shop that sells every pro-Russian, pro-Putin and pro-Serbian thing you can imagine. 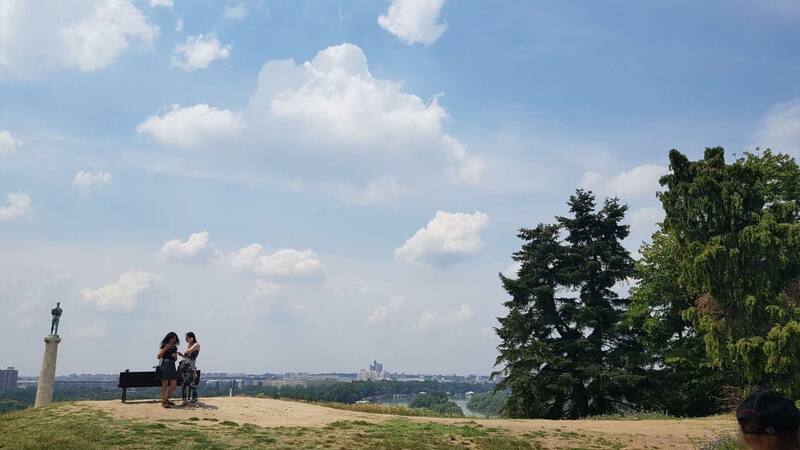 We then take a leisurely walk to the top of the town, where there is an awesome Communist monument and incredible views over this divided city, you will likely see some international Black Hawk helicopters patrolling the city from here. We cross back into the Kosovar side and catch the bus back to Pristina. On arrival we start our city tour of Pristina, taking in things like the Bill Clinton statue, and stroll past the university to the Grand Hotel and UNMIK, the Skenderberg monument and the new Government Building, then the historic mosques and the tight lanes of the Old Quarter. You will see cafes, street market stalls, kids hawking cigarettes and phone cards, plus the vibrant community life of Kosovo’s biggest city. Free time back at the hotel before we head out for a group dinner in an awesome local restaurant, where you will be brought numerous local dishes until you can take no more! Grab breakfast and enjoy a free morning in Pristina before we board our private bus to Albania’s capital, Tirana. Evening arrival in Tirana and check into the centrally located hotel. Head out in the evening for some awesome Albanian food, followed by Rakia in a spinning sky bar in downtown Tirana. Doesn’t drinking grape-based moonshine while spinning in a circle at the top of one of Tirana’s tallest buildings sound like a great idea? Breakfast at the hotel before an extensive city tour of Albania with a local guide, we will see many relics of the Communist regime, including a bizarre and foreboding pyramid that is perfect for climbing up for those who are brave enough! Lunch at one of Tirana’s many great restaurants, with the option to eat in the ironic KFC that now overlooks the former home of Enver Hoxha. We then head to the infamous house of leaves, this was the surveillance centre that the communist authorities used to spy on the population of Albania, foreign embassies and the rare foreign tourists that dared to enter the country back then. We then pay a visit to one of Tirana’s best kept secrets: a collection of hulking Soviet statues hidden beneath an alleyway. While it is not allowed to enter, as always, your YPT guide can get around it and allow you to get some great shots of Tirana’s former Lenin and Stalin monuments! We then head to one of the vast former government bunkers of the Hoxha regime, this is where the running of the country would have been coordinated from in the event of an expected nuclear war and is a great insight into the advanced paranoia of the regime. Free time to rest up before heading out for dinner followed by drinks in Blloku neighbourhood, which was the former area where the most loyal of the Communist party all lived, it’s now full of awesome bars and live music. We grab breakfast in the hotel before heading to the stunning Albanian Riviera, Albania boasts an array of untouched mediterranean coastline, minus the mass of tourists. On the way, we will stop at the old Shengjin Naval base, where you will see abandoned bunkers, ships and bored local kids playing on rusted anti-aircraft weapons. We spend a few hours at the beach for people to relax, swim, take in the views or go for a hike. Head back to Tirana for dinner and drinks. We grab breakfast in the hotel before heading to the stunning Mount Dajti on the outskirts of Tirana. We get the cable car to the top of the mountain and see farmers working the land with traditional methods below. We grab lunch in one of the fantastic restaurants at the top, which feature a feast of a KG of meat and mind-blowing views! We will then arrange an Albania gangster tour. We will try our best to arrange a meeting with some notorious ex-Gangsters from Albania’s dark past, who will be happy to share some coffee and Rakia with us and tell us their incredible stories. We then show you how wild Albania can be, with a trip to an unofficial shooting range! Group dinner and farewell drinks. Visit an abandoned underground airbase from the former Yugoslavia and explore the discarded aircraft of its former air force. Explore war-torn Sarajevo, including the Tunnel of Hope and the photogenic bobsled track from the 1984 winter Olympics. Tour the tense and divided Kosovan city of Mitrovica! See undiscovered Albania's most wild, best-kept secrets and the relics from its dark, Communist past!